Most of the high school seniors that I talk to tell me they aren’t sure what they want to do when they graduate. Some will declare a major course of study for college but even they will concede, “I’ll have to see if it feels right once I start.” Others tell me they’re not sure any college offers what they’ll need to do the kind of work they envision doing as an entrepreneur. In fact, they wonder if college is necessary. Part of the problem is, the students I talk to are very aware that the job market will be different and ever changing when they’re done with college. What’s more, 18 years old is awfully young to know exactly what you’d like to do upon launching into your career. It makes for an expensive experiment for parents and students. Over a hundred years ago, the emerging industrial revolution required American colleges to evolve from the 19th century, where most focused on a handful of jobs or professions, such as law or ministerial work. The demand was for colleges to become universities and serve a broader vocational spectrum. Harvard University’s president, Charles Elliott, admitted in 1908 that schools must offer electives because one, single major could not possibly teach all that a graduate needed to know upon graduation. I think we’re on the verge of another college revolution. 1. Look for schools that offer cross-pollinated courses graduates will need. Most graduates who’ll become managers need to experience business courses, psychology courses, technology science courses as well as sociology courses—and perhaps even international business courses as we progress further into a global economy. Most of these subjects are not general education subjects. According to Jeffrey Silengo, “Arizona State University has created entirely new schools and colleges where students can earn bachelor’s degrees in innovation in society and the science of healthcare delivery.” Look for universities that do this kind of thing. We need more courses for upperclassmen that span across academic disciplines. 2. Look for schools that are quick to adapt as our marketplace demands it. I totally understand that academic committees have played an important role in the past when new ideas for courses pop up. We need a filter for big decisions like this. Schools, however, must find a way to change quicker. Perhaps they can beta test a new course or major, while studying its long-term impact on the campus. I used to make fun of colleges that allowed students to literally make up their major, as I felt they might make a decision our economy won’t feed. Today, however, I believe students must find schools that are adaptable like this while offering guidance. In his book called, Robot Proof: Higher Education in the Age of Artificial Intelligence, Northeastern University president Joseph Aoun suggests a learning model he calls “humanics.” It blends technical, social and data skills and, in the process, develops “higher-order mental skills, like critical thinking, systems thinking, cultural agility and entrepreneurship.” It requires professors and families to collaborate in order to prepare graduates for the new world they’ll enter. Sounds better than “silos” to me. 3. Look for schools who are able to hold funerals for certain majors or courses. I have noticed over thirty years that schools are great at adding new courses and majors, but poor at ending them. Colleges cannot sustain this current model, as survival will demand change and administrators will need to make tough decisions by doing both “overhauls” on departments and “funerals” for certain majors. I know this isn’t politically correct, but higher education must operate like any other business: when a product isn’t working, you change it or stop selling it. You don’t keep it on the shelf for “old times sake.” Look for schools that run like a business, like Grand Canyon University or Georgia State University. 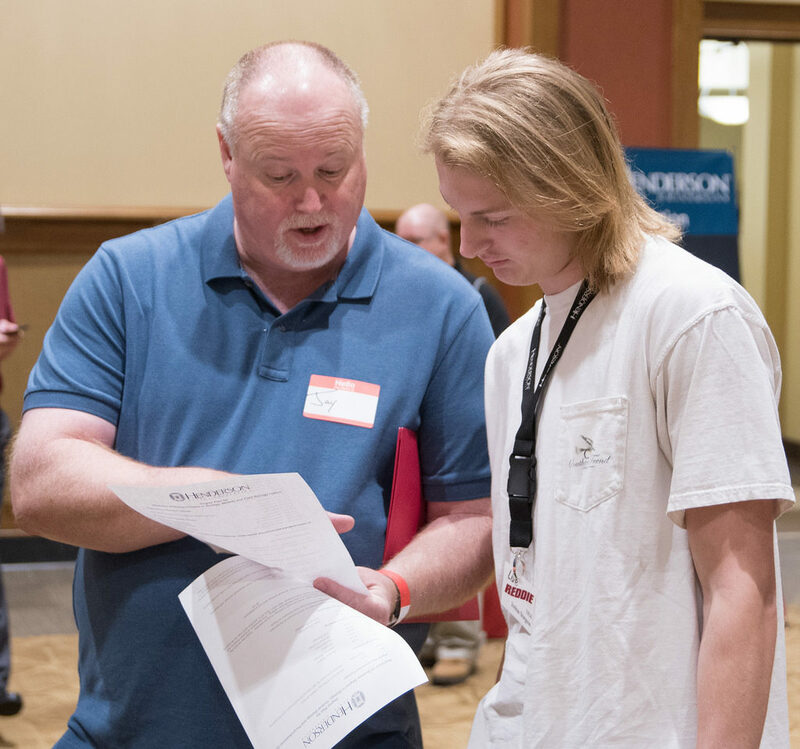 Last year, The Gallup organization and the Strada Education Network conducted multiple surveys with university students. They found a “disconnect between what students learn in college, their majors and their ability to find a fulfilling life and career.” We’ve got to find a way to change this. 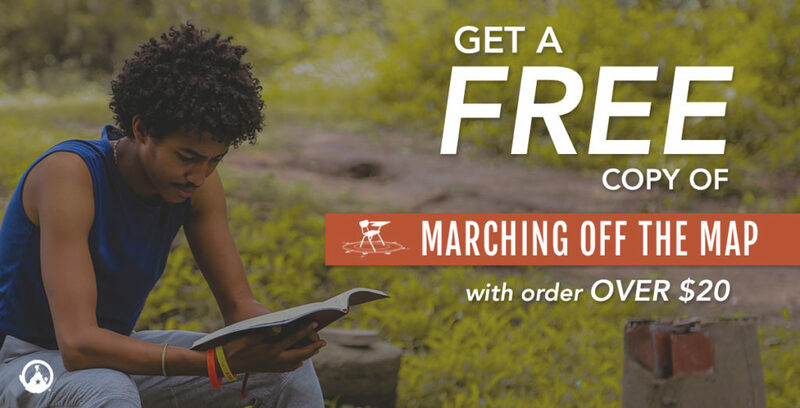 For this week only, you can get a copy of Marching Off the Map and the Marching Off the Map Travel Guide for free. All you need to do is add books or resources that total to $20 or more to your online shopping cart, then you are eligible to receive our newest book. Add books/resources that total $20 or more to your cart. Add Marching Off the Map to your cart. Use the promo code “freebook” at the checkout page. Don’t miss out – this special ends on Sunday, June 17th at midnight! The easiest way to decide who you want to become after school is to hear yourself. But this is also the most difficult way. In the flow of external voices (relatives, friends, all kinds of media), it is very difficult to concentrate and hear yourself. Try to allocate for this special time once a day, sit alone, in silence. Go through the options in your mind, ask yourself a question and try to hear the answer inside you. In general, the choice of profession does not happen once and for all, life is mobile. Maybe you will have to master an adjacent specialty afterward, or you will find a job at the junction of the existing one and the one you dreamed of. Any of your choices can now be successful or not, but only as time passes you will understand what was necessary for you and what was not useful at all.